Plush chenille slippers keep feet warm and cozy. Fuzzy slippers feature non-skid soles, easy on/off design and seamless interior. Small fits women’s shoe sizes 5–6; Medium fits 7–8; Large fits 9–10; XL fits 11–12. Machine-washable polar fleece upper/lining. 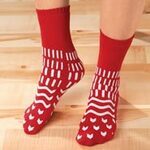 …to keep toes warm without enclosing feet. * Gentle, non-binding elastic hugs the forefoot. * Value-priced pack includes 2 pairs of women's socks in natural color. * One size fits most (women’s sizes 5–10 1/2). * Short socks made with 75% cotton/25% nylon. * Machine wash, no bleach; tumble dry warm. Mug warmer keeps drinks at the perfect temperature so you can sip at your own pace. 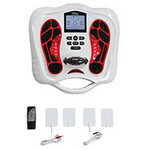 Cup warmer features non-skid feet, on/off switch and power indicator. 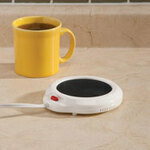 This coffee mug warmer is also a safe, worry-free way to heat scented candles. 5"dia. x 1"H with 40" ETL listed cord.